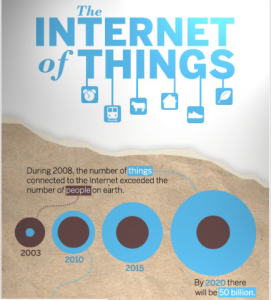 IoT is the new Big Data? However, I think people took it beyond the capture of “physical” events/data. I think Kevin Ashton envisioned a network of things that originally was wholly dependent on human beings for information, and then expanded to involve anything that touched a person (physical or not), passing from machine to machine. Capturing the behavior of people will require a much broader collection of data beyond just sensor technology…beyond the “physical” – whether that is web server clickstream data, e-commerce transaction data, customer service call logs, search logs, video surveillance, documents, etc. There is much more than “physical” or sensor-only data that involves the customer. To truly begin understanding the behavior of people, you need to capture data from any touch point, gaining a holistic view of that person. Gaining a 360 degree of your customers, or a 360 degree view of your business by leveraging an environment of structured and unstructured data that can be analyzed….M2M (Machine to Machine) and/or IoT (Internet of Things) involving physical devices becomes a subset of the data sources available to such a project. Is IoT a subset of Big Data or Visa Versa? I was talking to the head of Big Data & Analytics at SAP (a peer to CSC’s Big Data & Analytics), David Parker, regarding IOT vs. Big Data. Their management has established a new IOT business unit, which I guaranteed David, would be addressing similar business use cases as his Big Data team at the end of the day. A sensor is technically any device which converts one form of energy to another form, the end usually being an electrical form mainly for measurement, control or monitoring purposes. Take a typical temperature sensor like a gas pressure based tube sensor which expands or contracts to convert the temperature into a mechanical motion which can be displayed, recorded or used for control as required. Translation….I just described a thermostat as used in a refrigerator. The sensor is typically classified as per its application and there could be many different types of sensors, with their own inherent advantages or disadvantages for a particular application. Putting it simply, the sensor generates an output which can be conveniently displayed, recorded or used to control or monitor the application at the point where the sensor is installed. What’s so special about sensors? You can translate the analog physical world into a digital computer world. We convert the sensor’s analog signals into digital signals so that the computer can be able to read it, and then we feed that with other digital signals into a Big Data platform. I think IoT requires a lot of talent on the many types of physical sensors and how they are ultimately converted into a form that the emerging Big Data platforms can consume and analyze. Getting your plants or your fridge to talk to you through sensors is one thing. Getting your plants to talk to your heating system is quite another. As we map the spread of IoT, it starts to get more complicated and barriers appear with a centralized big data analytics platform, or lack thereof, likely to halt progress. Jeff Hagins Founder and CTO of SmartThings, described the data platform he has been working on that should help expand IoT and help product designers work out new ways of connecting machines and people. He believes that the Internet of Things has to be built on a platform that is easy, intelligent and open. I argue that the evolving Big Data platforms introduced by the web scale giants like Google, Yahoo!, Linkedin, Twitter, Facebook and the like will become a standard for IoT-based applications….and IoT is just that, a set of specialized sensor connectors or sources coupled with a Big Data platform that enables a new generation of applications. The blurring the physical and virtual worlds are strong concepts in this point. Physical assets become digitalized and become equal factors in understanding and managing the business value chain alongside already-digital entities, such as enterprise data warehouses, emerging big data systems and next-generation applications. 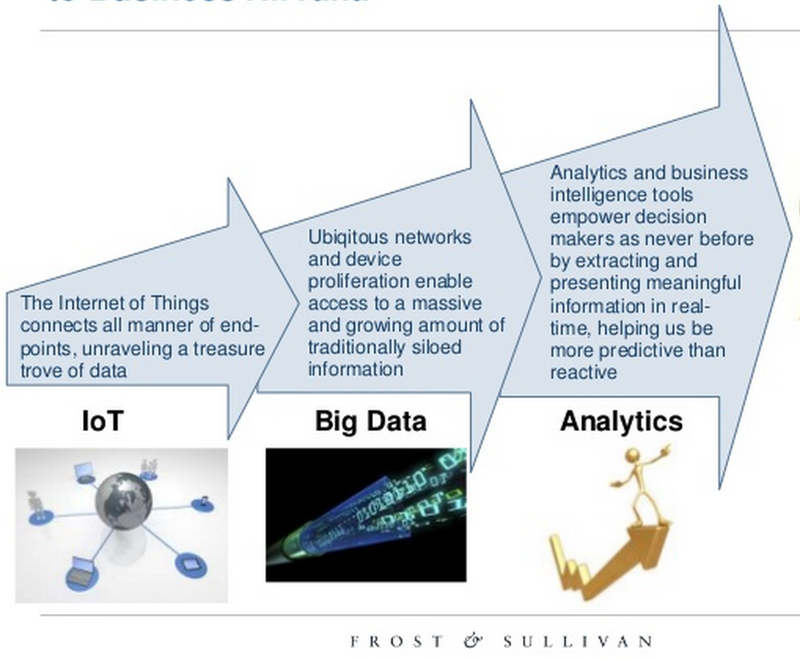 Tagged with big data, Internet of Things, IoT, m2m, machine to machine.